Me TFT LCD Screen - 2.4 Inch V1 is controlled through serial port, and backlight can be adjusted. It has M4 mounting holes at intervals of 16mm, and it is compatible with Makeblock beams. The 2.54mm pin holes is used to connect with Dupont wire. The 6P6C RJ25 interface is easy for wiring. Basic graphic display such as dots, lines, circle, rectangle, and filled rectangle are supported. It also has build-in fonts and variety of pictures which can be directly used by command. Arduino library is easy forprogramming. 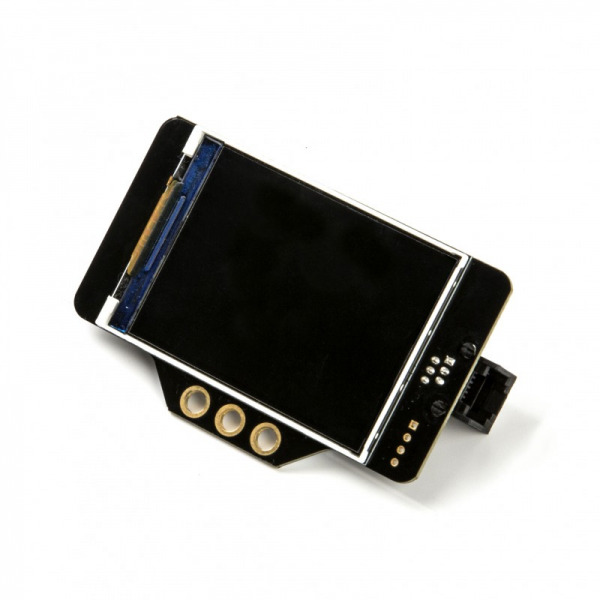 This Screen enables you to show your animations or characters clearly and brightly. 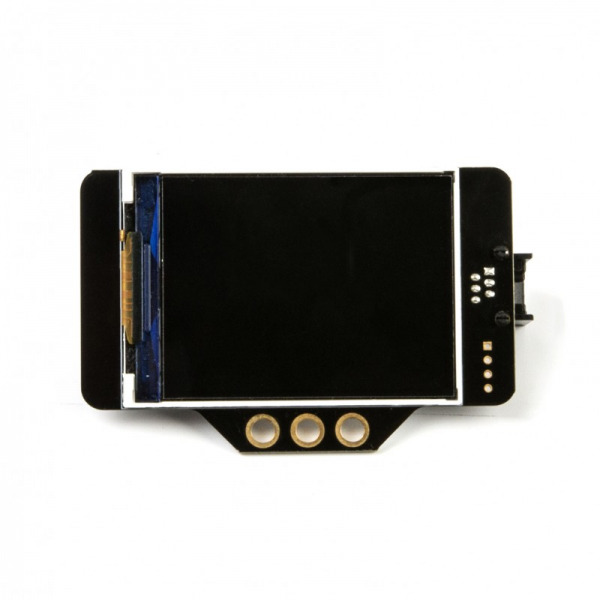 Specially designed M4 through holes on Me TFT LCD Screen - 2.4 Inch V1enables you to assembly with other Makeblock items just by tightening the screws. 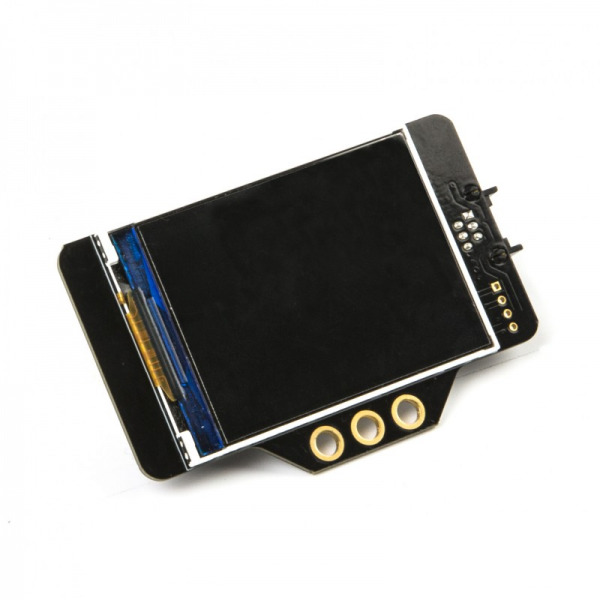 This Me TFT LCD Screen - 2.4 Inch V1 is frequently-used together with mBot.